Be the first to share your favorite memory, photo or story of Stevey. This memorial page is dedicated for family, friends and future generations to celebrate the life of their loved one. Stevey Allen Hudgens, 63, went to his Heavenly reward in the early morning hours on February 3, 2019. He had been a resident of Legacy Manor Nursing Care Center in Greenville, Mississippi, for the past 5 years. Stevey was born June, 22, 1955 in Eupora, Mississippi, to James Howard and Essie Ann Gilbert Hudgens. Stevey was a person who never met a stranger. He loved being around people, especially his family whom he loved deeply, from his brother and sisters down to the newest members the great-great twins. He never let his health problems get in his way. He hated being in his bed and was usually one of the first ones in the lounge area. He loved life. Stevey Allen Hudgens is preceded in death by his parents, a brother, James Louis Hudgens, sisters, Mavis Smith and Marie Mathis. 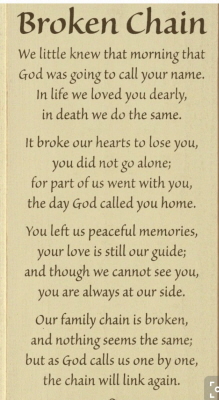 He leaves behind to cherish his memories, sisters, Carmen Pruden (Joe) of Louise, Mississippi and Dorothy Moore of Brandon, Mississippi, a brother Kenneth Hudgens (Virginia) of Greenwood, Mississippi, and a host of nieces and nephews, great nieces and nephews, and great-greats. Visitation will be held 10 AM, Tuesday February 5, 2019, followed by the service at 11 AM at Mortimer Funeral Home, Belzoni. Interment will be at Straight Bayou Baptist Church Cemetery. The family would like to thank Legacy Manor Care Center for the special care the staff provided to their loved one during his stay. To plant a tree in memory of Stevey Allen Hudgens, please visit our Tribute Store. "Email Address" would like to share the life celebration of Stevey Allen Hudgens. Click on the "link" to go to share a favorite memory or leave a condolence message for the family.